Wahoo, I just can’t wait to be in charge of registration day! … Said nobody, ever. If you’re dreading registration for your soccer club, you’re not alone. After all, nobody enjoys endless trips to the bank or mountains of paperwork. That’s why we made TeamSnap for Clubs & Leagues. 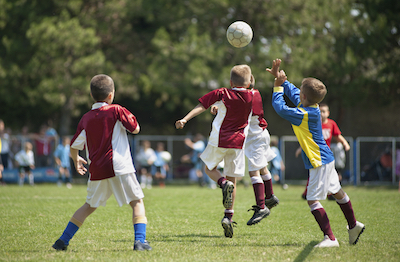 When it comes to soccer registration, you need boatloads of information. If you’ve been collecting it through paper forms, you’ve been costing yourself some valuable time. Try taking everything online with our customizable forms. Specify any information you need, including contact info, birthday, position, jersey number, email, favorite pro soccer team—anything. For those handling multiple age groups, you can even collect custom fees based on age group or gender. For example, if you need additional parental contact info for younger kids in your club, you can create a special form, just for them. How many times have you been waiting and waiting on parents to provide important forms, even after they’re due? Make things easier on them (and more importantly, yourself) with our online registration. With TeamSnap, you can keep the Lorax happy. Registrants electronically read and sign your club’s code of conduct, photo release, medical forms and anything else, no paper needed. You can sleep tight at night knowing your organization’s covered. Gooooooaaaal! Need to collect fees from your registrants? We can help with that, too. Registrants can pay online (noticing a pattern here?) through their bank accounts and our payment partner, WePay. That means no more trips to the bank for you and no more hand-cramping check signing for your registrants. Have parents and players who’d rather pay fees over a period of time? Our installment payments are the perfect answer. With them, registrants can pay smaller amounts toward the total rather than one big chunk of change. And don’t worry—we don’t charge any per-player or per-participant fees for installment payments. Ready to kickstart your soccer registration with TeamSnap? Get more info today!